The theme of World Teachers’ Day this year - The right to education means the right to a qualified teacher. Education is a fundamental human right. It is the greatest vehicle for change and the most sustainable route out of poverty. It gives children the opportunity to develop to their full potential. Without trained and qualified teachers, however, the right to education cannot be fulfilled. A lack of sufficient teacher training in many parts of the world denies students the opportunities they need to develop into independent and life-long learners. 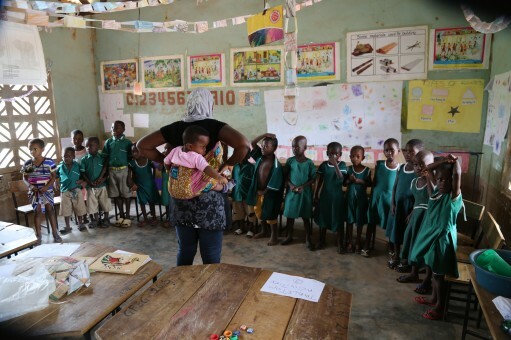 We are working to change this across northern Ghana, facilitating teacher training for Kindergarten and Primary school teachers specifically, to ensure they are providing the highest quality of education that they can for their students. This training helps teachers to engage their pupils using interactive and fun techniques for learning, using songs and plays, games and stories, which will enhance their learning. Children have started to really value their education and they are encouraged to keep coming to school, despite some of them having to walk miles to attend every day. Inspiring teachers, who have the right training, help their pupils to experience the joy of learning. Do you remember how you learnt new words when you were a child? 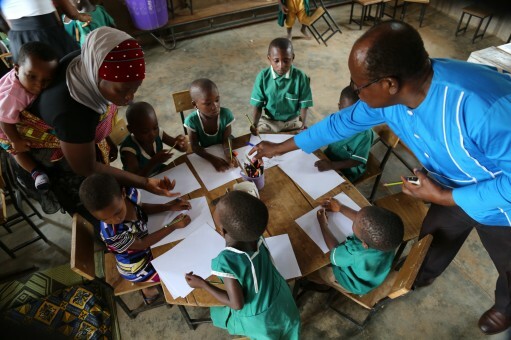 Bukari is a Kindergarten teacher in a rural community in northern Ghana, where half of all families live in poverty. Bukari’s diploma did not cover early years education specially yet she teaches in an early years class. She was trained how to use uninspiring, traditional teaching methods such as ‘Look and Say’ where she holds up pictures and asks her pupils to pronounce what is in the picture. This method does not teach children to identify the sounds of each letter, instead children learn by heart what to say when they see, for example, the image of a tree. However without that image they would struggle to pronounce the word. Bukari was invited to attend a series of workshops to train her in updated teaching methods, including learning about phonics and the syllabic approach, all of which were new to her. She was taught how to encourage children to break down words into letter sounds which she could then use to teach her class how to read. She also became aware of the importance of making her classes interactive by using songs and actions to help children remember letter and syllable sounds. "I know all the songs and actions that go with the letter sounds and I use these to spice up my facilitation. The classes are now more interactive and interesting for my pupils." Taking these teaching back to her classroom, Bukari has noticed huge improvements. She admits that it took a while to get the class using the sounds of the alphabet rather than the letters. However, after a couple of months they grew used to the sounds and actions and gained confidence in the approach. Now she can pick a word, sound it out and her class can write it down and pronounce the word without the aid of pictures. She has also noticed that her class seem to enjoy lessons more, and regularly attend school. She believes this is because her teaching style has improved and her classes are more interactive and interesting. The future is looking promising for Bukari’s pupils and for her school. 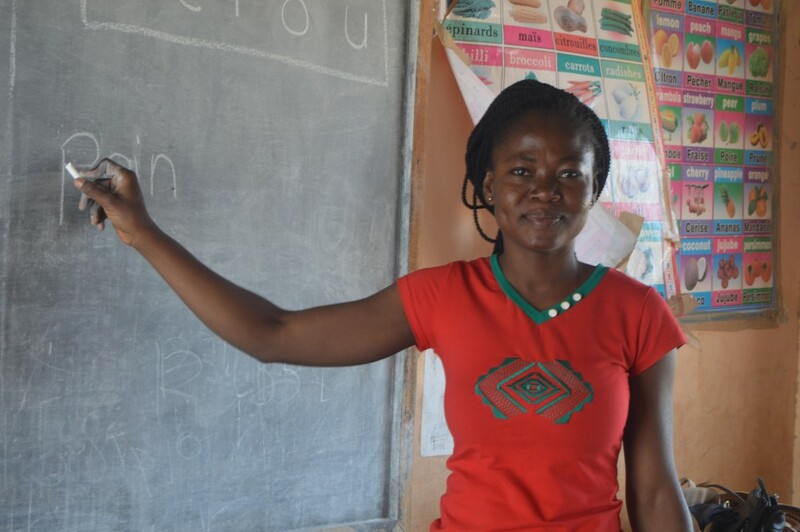 We are training hundreds of teachers like Bukari to transform the education environment across northern Ghana and we’re celebrating them all on this World Teacher’s Day!